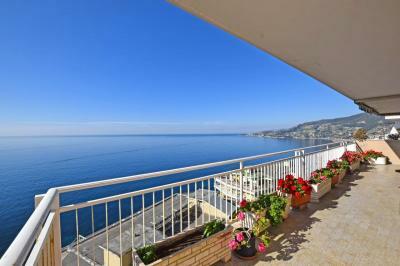 Three bedroom Apartment for Sale in Bordighera, Liguria. At only 5 minutes walking to the center, situated into an elegant building in Bordighera on the famous via Romana, renovated 3 bedroom Apartment for Sale. 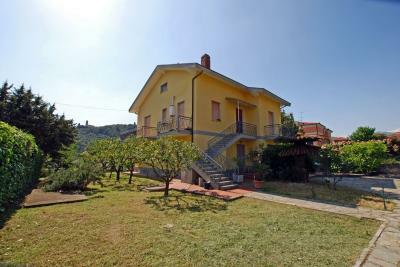 The accommodation includes: entrance hall, bright living room, terrace with amazing view (part of sea view), kitchen, dining area, 2 bedrooms, 2 bathrooms and second large terrace on the west side of the Apartment for Sale in Bordighera. A Concierge services and several free parking spaces are also included.